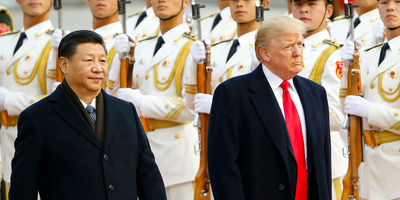 Getty Images/PoolUS President Donald Trump with Chinese President Xi Jinping. President Donald Trump on Thursday announced tariffs on imports of Chinese goods. The Chinese government has threatened to retaliate. The move marks an escalation in the trade battle between the US and China. President Donald Trump announced Thursday that the US would soon impose tariffs on billions of dollars of imports from China, a move that could eventually trigger a trade war. The tariffs, which function as taxes on imports, come after an investigation by the Trump administration into Chinese theft of US intellectual property. For instance, the country has forced businesses to move their patents to China or disclose their trade secrets to do business there. Trump announced 25% tariffs on imports from industries including biopharmaceuticals, robotics, and rail equipment. A full list of products will be released in 15 days, according to White House officials, which will give businesses time to petition for certain items to be excluded. The tariffs are expected to affect $US50 billion ($AU64.8 billion) worth of goods imported from China. Certain Chinese investments into the US will also be limited. Chinese officials have already signalled they will respond in kind. “China will not sit idly to see its legitimate rights damaged and must take all necessary measures to resolutely defend its legitimate rights,” China’s Commerce Ministry said in a statement on Thursday. Reports suggest China will impose tariffs on US exports of the major agricultural products sorghum, soybeans, and hogs. More than half of the soybeans and sorghum exported by the US goes to China. As part of the announcement, Trump also declared that the US would file a complaint against China with the World Trade Organisation. In the announcement, Trump slammed not only China but also the European Union, Japan, and the WTO. Before the newly announced tariffs take effect, the Office of the US Trade Representative will release a list of more than 1,000 possible tariff lines, technical codes that apply to a particular good. There will then be a 30-day comment period during which companies and industry groups can raise objections to certain goods being included in the tariffs. During this time there will also be a public hearing on the tariffs. After the comment period, the USTR will determine which goods the tariffs will apply to and release those findings. All in all, it could be well into May or June before the tariffs are fully implemented. The new tariffs mark an escalation in the ongoing trade spat between the US and China. Trump recently told Chinese officials that he wanted to lower the trade deficit between the two countries by $US100 billion; the US had a $US375.2 billion deficit with China last year. To cut down on the deficit, Trump imposed tariffs on all US imports of solar panels and washing machines in January and then followed up with tariffs on steel and aluminium on March 1. Both of those moves drew sharp criticism from China. While the moves are limited in their scope for now, economists and investors are already worried about the implications. On an aggregate scale, most economists believe that Thursday’s tariffs will have a limited effect. But the move could signal trouble down the road, said Ebrahim Rahbari, the director of global economics research at Citi. The restrictions on trade will most likely push up prices on imports of Chinese goods. For businesses that use the imports in their end products, the tariffs will most likely drive up costs and lead to increased prices or cuts in other areas of business. In the event of a trade war, the economic consequence would be much more severe and could even drive the US into a recession. 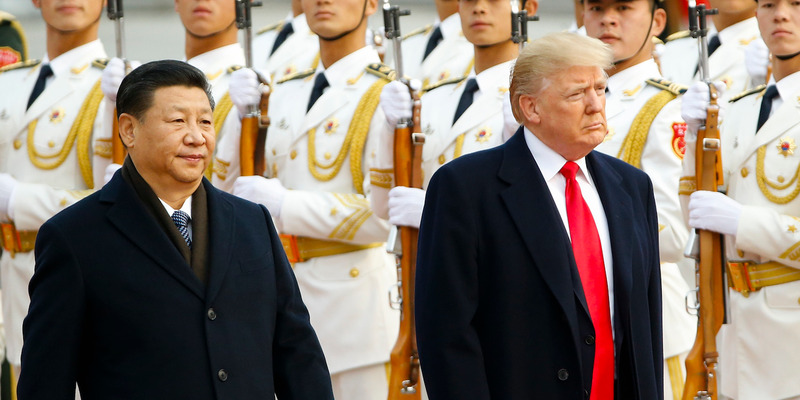 There could be serious consequences for growth even if the fight stays between the US and China, according to Shawn Golhar, the head of public-policy research at Barclays. Given the possibility of a sustained trade fight, investors were jittery on Thursday. The Dow Jones industrial average sank more than 400 points leading up to Trump’s announcement.